The message of today’s gospel from Mark 2:1-12. 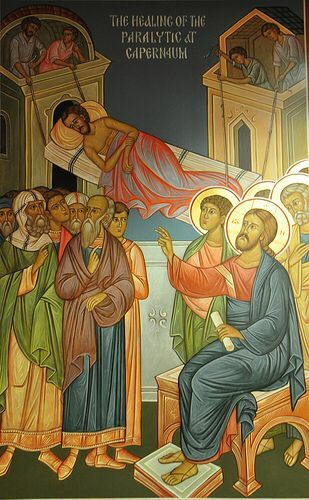 Four men are bringing a paralytic to be healed. They couldn’t enter through the door, but that didn’t change their mission. They went to the top of the house, let down their friend through the roof, to finally see our Lord Jesus Christ and be healed. Desire to see Christ and bring others to Christ regardless of the obstacles ahead.